F-750 XL Crew Cab in Oxford White with aftermarket equipment. 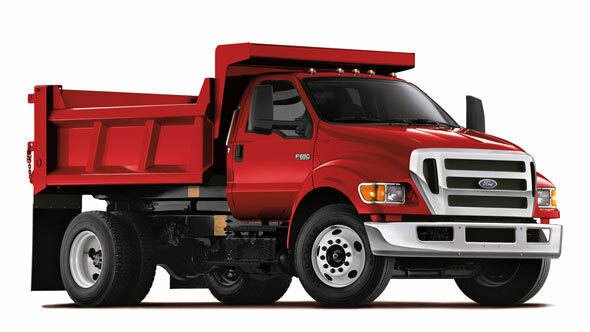 F-650 XLT Regular Cab in Bright Red with aftermarket equipment. 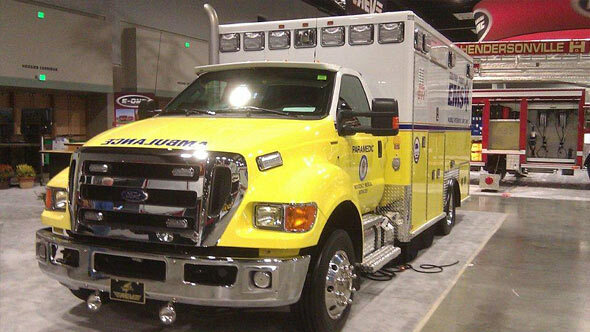 The F-650 Pro Loader® Regular Cab with Type I Ambulance body and other aftermarket equipment. 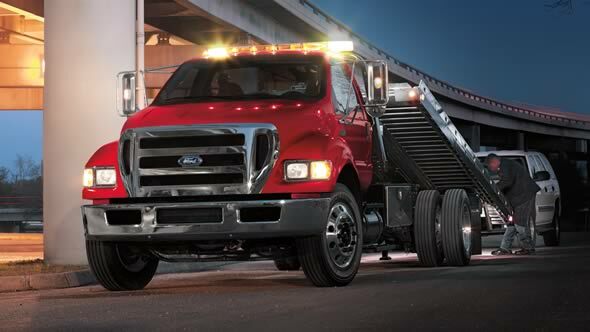 Ford F-650 and F-750 medium-duty trucks offer GVWRs from 20,500 lbs. to 37,000 lbs. Shown with aftermarket equipment. F-750 XLT Regular Cab in Oxford White with aftermarket equipment. F-650 XLT Crew Cab in Oxford White. 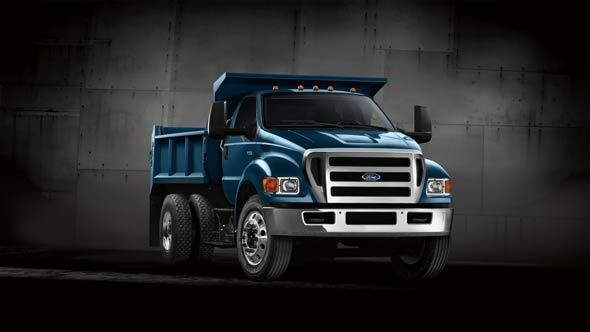 F-750 XLT Regular Cab in True Blue Metallic with aftermarket equipment. F-750 XLT Regular Cab in Oxford White with optional and aftermarket equipment. F-750 XLT Regular Cab in Bright Red with aftermarket equipment. 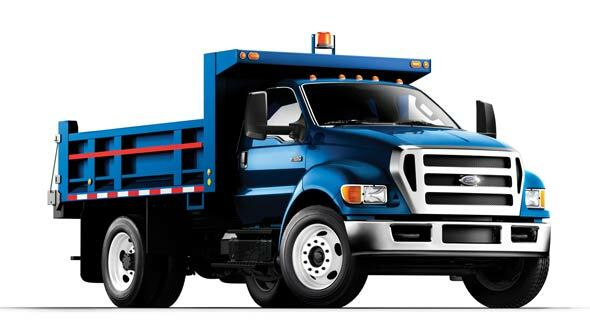 F-650 Regular Cab with aftermarket equipment. XL model with available cloth seats and other optional equipment. XLT model with standard cloth seats and optional equipment. 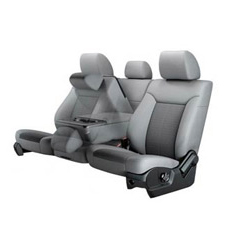 The available 40/20/40 split front seat includes an armrest with built-in cupholders. The available ergonomic overhead gauge pod places optional gauges and switches. 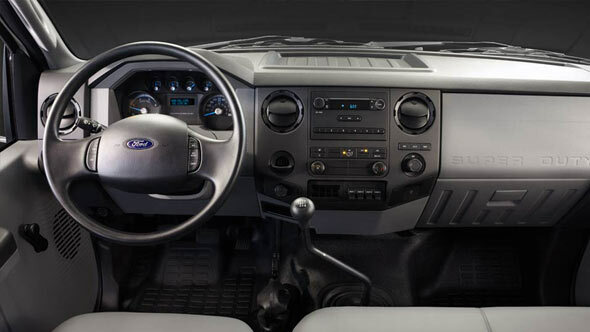 The interior of the F-650/F-750 Medium Duty with optional equipment. Standard driver's high-back captain's chair and 2-passenger bench seat. Optional equipment is shown. Four factory-installed upfitter switches integrated into the instrument panel. Optional equipment is shown. 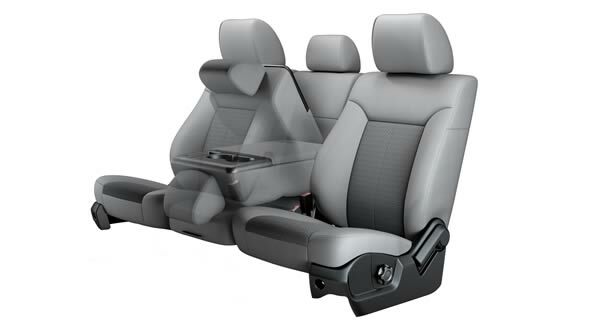 The available 40/20/40 split front seat includes an armrest with built-in cupholders for added convenience. Other optional equipment is shown. Front seating is a driver (30 percent) and 2-passenger (70 percent) bench shown in available cloth. Other optional equipment is shown. Only Class 6-7 trucks offering diesel or gas power. 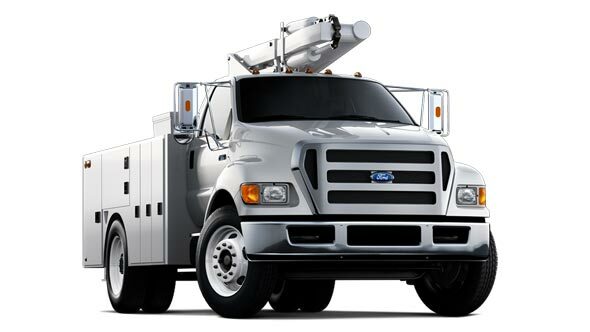 The Ford F-650 is the only medium-duty truck offering you the choice of diesel or gas power to match the requirements of your application: The Cummins® ISB 6.7L Turbo Diesel. 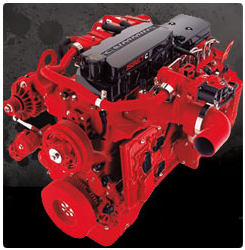 Or the powerful and dependable 6.8L Triton® V10, the only gas engine in a Class 6-7 truck. * The 6.8L Triton also gives you the option of converting to compressed natural gas or liquid propane gas as a possible cost-effective alternative to conventional unleaded gasoline. 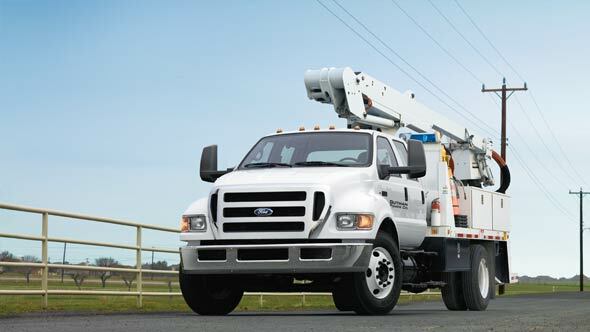 For 29 straight years, Ford has been the number one manufacturer of commercial trucks in the United States. ** That’s a track record built on proven ruggedness, dependability and performance. *Class is 6-7 Medium Duty Trucks. **Based on R. L. Polk & Co., 1985-2011 Trucks U.S. Class 2-8 new registrations excluding SUVs. 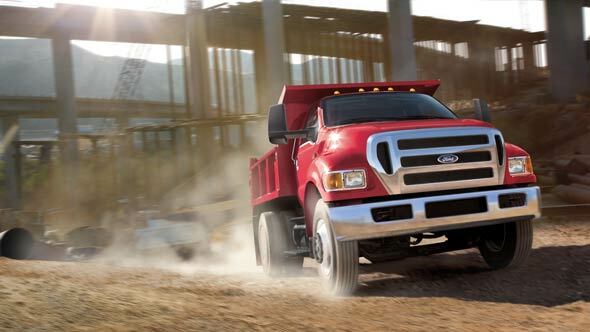 Only Ford offers a gas-powered engine in a Class 6-7 truck. 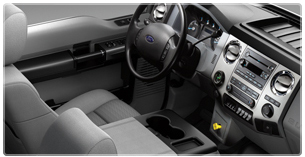 Cost-effective and emissions-friendly ways to fuel your Ford medium-duty truck. This advanced 6-speed automatic is engineered for the high-performance demands of the available 6.8L Triton® V10. The flexibility you want. The value you need. The DPF is self-cleaning and self-diagnostic. Cummins® power plus Allison® automatics — it’s the right powerteam for any application. 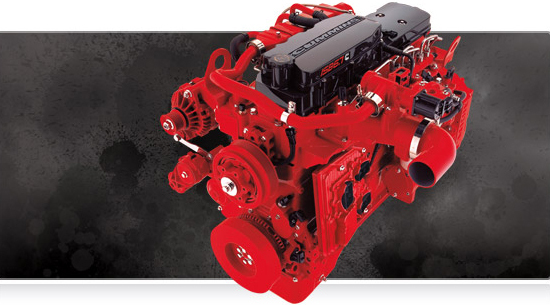 The Cummins® ISB 6.7L turbo diesel delivers the power ratings to match your job. Going with the Ford-built 6.8L Triton® V10 instead of a diesel may very well be your more cost-effective choice. Start with a lower purchase price of potentially several thousand dollars. Now factor in the lower costs of gasoline and routine service. These make the 6.8L Triton mighty attractive, especially considering the high level of performance its ratings of 362 horsepower and 457 lb.-ft. of torque deliver. The 6.8L V10 is mated to the Ford-built 6-speed TorqShift® SelectShift® automatic transmission engineered for high-torque performance and dependability. If you operate a snowplow, aerial lift, spreader, hydraulic hoist, pump or other power equipment, diesel power is not your only option. That’s because the TorquShift transmission with the 6.8L gas provides power takeoff (PTO) provision. 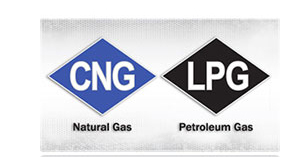 What’s more, a CNG/LPG Gaseous Engine Prep Package is available for cost-efficient and emissions-friendly power conversion to compressed natural gas (CNG) or liquid propane gas (LPG). *Vehicle will be equipped with the standard factory gasoline fuel system. This package does not include CNG/LPG fuel tanks and lines, etc. See your dealer for details. The 6-Speed Ford TorqShift® SelectShift® automatic transmission is engineered for performance and dependability. Mated to the 6.8L Triton® V10 gas engine, the TorqShift features a double-overdrive design and low-end 3.97 first gear. It has big, strong gears that take on extra torque, meaning you use fewer rpm because the torque converter locks up at lower speeds. Go ahead and rev this transmission hard. 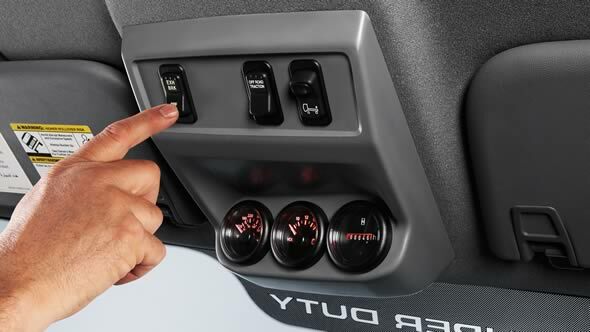 The SelectShift feature of the 6-speed TorqShift automatic has two driver-initiated modes. In Progressive Range Select, you can limit the range of gears to lock out overdrive for consistent speed over hills and mountain ranges. In Full Manual mode, you can go all the way up and down the gearbox to put you fully in control. If you operate a snowplow, aerial lift, spreader, hydraulic hoist, pump or other power equipment, diesel power is not your only option. 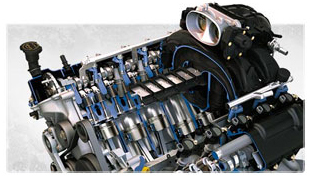 The TorquShift transmission mated to the class-exclusive* 6.8L V10 gas engine provides power takeoff (PTO) provision. 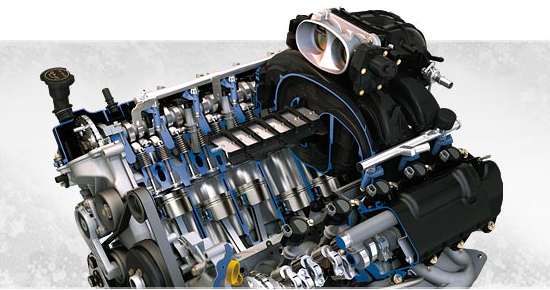 The standard engine is the ISB 6.7L. It features the latest Cummins technology, including full-authority electronic controls, a high-pressure common-rail fuel-injection system, 24-valve design, the patented VGT turbocharger, a particulate filter and more. The 6.7L comes in your choice of 11 horsepower and torque ratings. * For 2015, the ISB 6.7L onboard diagnostics includes OBD-2 with greater memory capacity. *Select ratings are restricted to emergency vehicle/recreational vehicle applications only. See your Ford Dealer for details. Cummins is a registered trademark of Cummins Inc. Engine appearance differs when installed in vehicle. The diesel particulate filter (DPF) is the first step in cleaning exhaust gas. After hydrocarbons are removed by the diesel oxidation catalyst (DOC), the DPF is designed to “scrub” any remaining soot from the exhaust gas. It is self-cleaning and self-diagnostic, automatically performing a regeneration/clean cycle when needed, without any driver input required. Allison® automatics are equipped with the Generation V control module for smooth operation and feature load-based shift scheduling (LBSS). Also provided are the benefits of synthetic transmission fluid, including increased resistance to oxidation and reduced cost because synthetic fluid doesn’t need to be replaced as often as petroleum-based fluid. 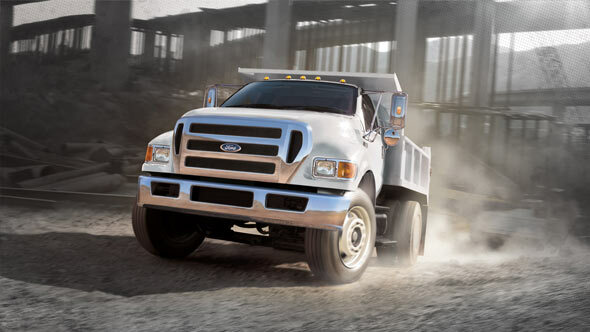 The 6-speed automatic transmission is standard on all diesel-powered F-650/F-750 trucks. Optional transmission with PTO access is shown. Allison Transmission is a trademark of Allison Transmission, Inc. Cummins is a registered trademark of Cummins Inc. Available Fuller® manual transmissions deliver the control and flexibility you want with a diesel engine. And it provides outstanding value. The Fuller manual is offered with or without overdrive to tailor its performance to your specific requirements. Fuller is a registered trademark of Eaton Corporation. Rugged, dependable and powerful performance. Features designed to make your workday easier and more productive. 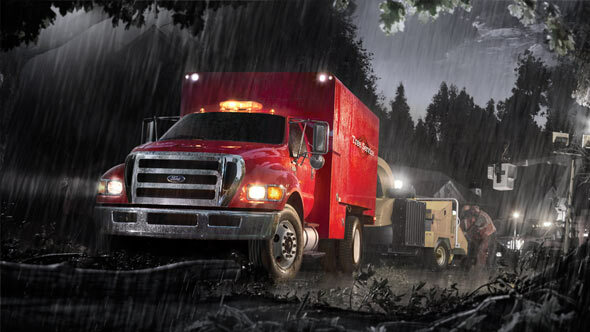 In a word, it all comes down to Ford Medium Duty capability. The standard upfitter switches,* for example, are factory-installed in the instrument panel to make connecting to aftermarket accessories a lot easier. 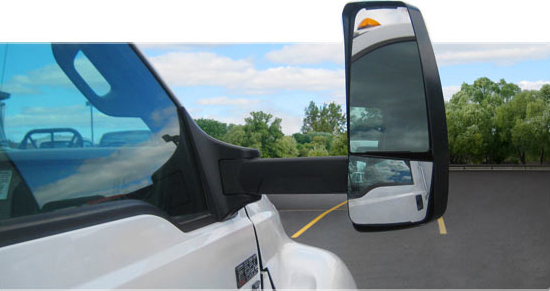 Exterior mirrors enhance visibility in the variety of work conditions you might encounter. An available Class 8 configuration provides a GVWR of more than 18 tons. And there are three cab configurations to choose from, more than any other medium-duty truck manufacturer offers. It’s everything you’d expect in a truck that’s Built Ford Tough®. When you tow, these are the mirrors you’ll want on your truck. More cab choices than any other Class 6-7 manufacturer. Convenient, easy to use and reliable. 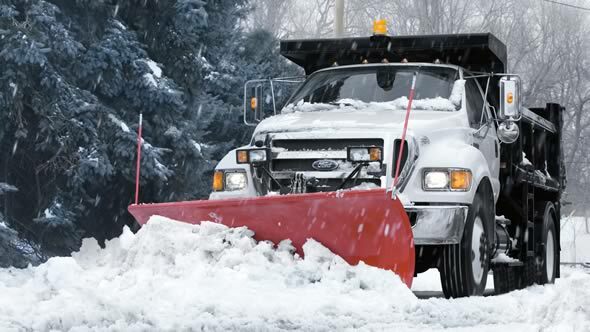 F-650 and F-750 offer full power brakes with a 4-piston system. Choose an alternator with the power you need. Axle options from trusted manufacturers. Choose a GVWR option up to 37,000 lbs. There are two sizes of exterior mirrors for gas and diesel models – standard dual rectangular 96-inch body wide and available dual rectangular 102-inch body wide. Both are foldable and have 44.4-sq.-in. spotter mirrors and feature a solid black finish. Also available are sail-mount trailer tow mirrors. They adjust, fold and telescope at the touch of a switch. This option includes integrated clearance lamps and turn signals, as well as heated glass with integrated adjustable spotter mirrors. You want a Class 6 truck that is not only engineered to work hard, but also designed to accommodate your crew, whether it consists of one or up to six. 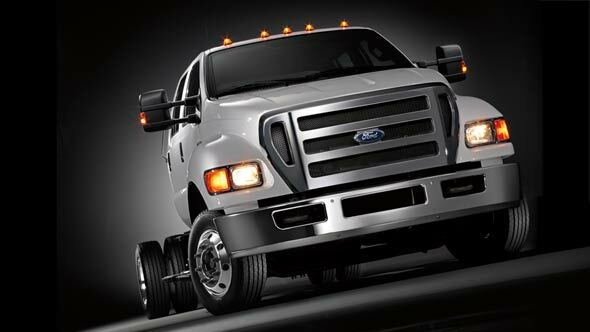 Only Ford F-650 and F-750 mediums offer three cab choices — 2-door Regular Cab, class-exclusive* 4-door SuperCab and Crew Cab. All come with 3-passenger front seating featuring a 30% driver bucket and a 70% 2-passenger bench. 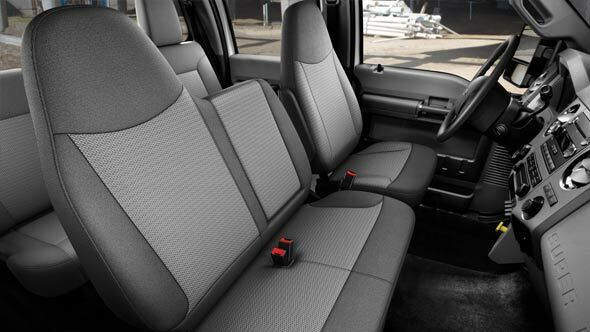 Rear seating in the SuperCab is a 60/40 flip-up cushion rear bench seat; in the Crew Cab, a 60/40 flip-up cushion/fold-down backrest rear bench. 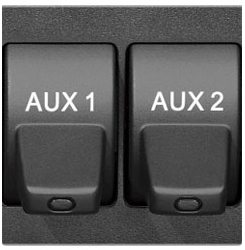 Four standard factory-installed upfitter switches (optional on the XL gas model), integrated into the instrument panel, are a convenient way to connect a variety of aftermarket accessories to your vehicle’s electrical system. Because they’re factory-installed, there’s no need to cut into the truck’s electrical system when installing accessories. The bank of four switches, with fuses and associated relays, provides two 30-amp and two 10-amp circuits. 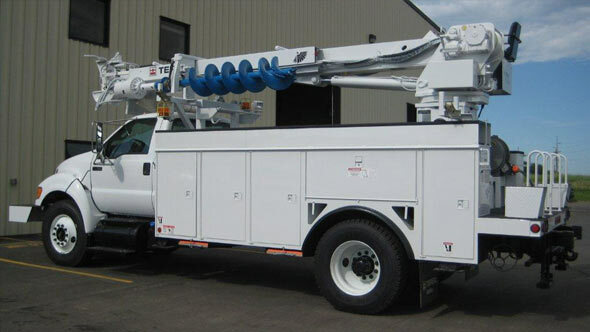 Add a winch, lights, strobes, two-way radios or whatever else can be powered by the truck’s electrical system. 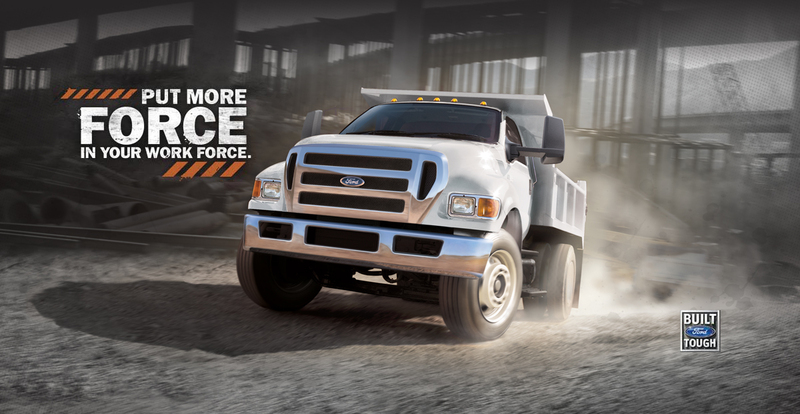 All F-650 and F-750 models come equipped with Quadraulic™ 4-wheel disc, 4-channel anti-lock brakes. Brake calipers are the 4-piston design for fast, even clamping force of the brake lining to the rotor surface. 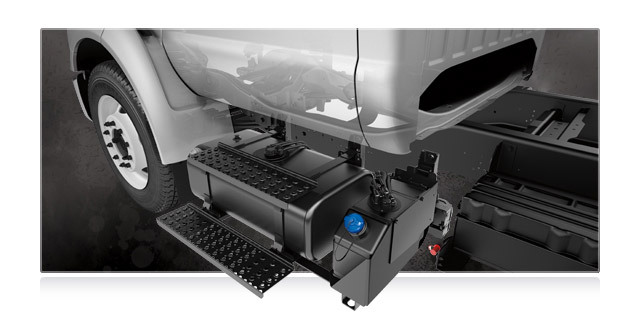 To this system you can add features such as 2- or 4-wheel power parking brakes. Automatic traction control, standard on diesel-powered models, helps maximize available traction on slippery or loose surfaces. 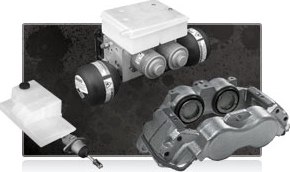 Quadraulic is a trademark of Meritor Technology, Inc.
F-650/F-750 diesel trucks offer a range of alternators, starting with a standard 210-amp Leece-Neville model. 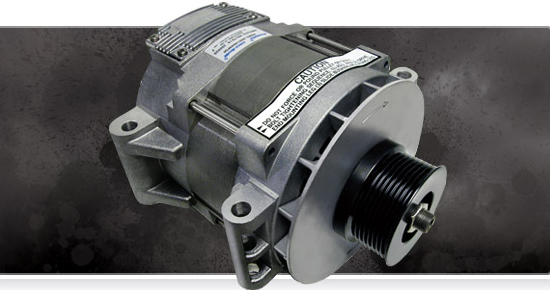 More powerful 240-amp and 320-amp alternators are also available on all trucks. 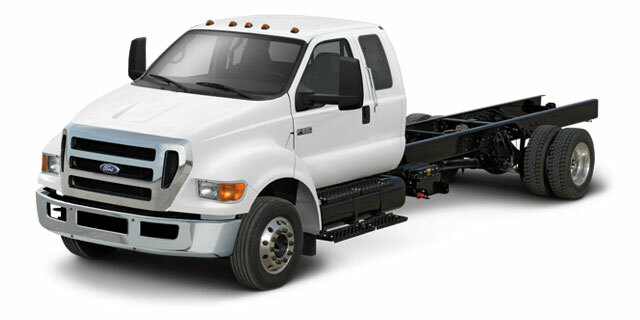 The standard F-650 gas engine offers a 177-amp DENSO model. Leece-Neville is a trademark of Leece-Neville Heavy Duty Systems, a division of Prestolite Electric Inc.
DENSO is a trademark of DENSO International America, Inc. The F-650/F-750 trucks offer axle options from trusted names like Meritor® and Dana Spicer®. Dana Spicer rear axles, for example, standard on F-650 straight-frame diesel models, use GenTech™ gearsets for quiet operation and synthetic lube for durability. Spicer is a registered trademark of Dana Limited. 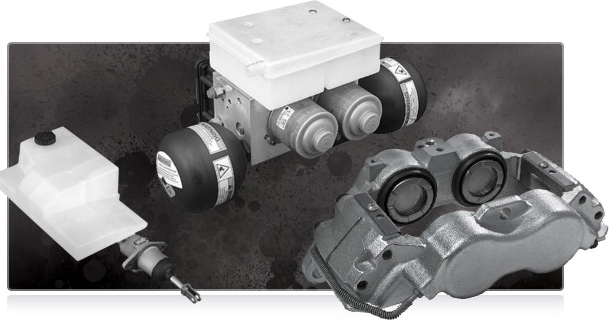 Meritor is a registered trademark of Meritor Technology, Inc.
Ford Medium Duty trucks provide a number of choices – from power ratings, axles, exhaust and tank options to cab configurations and available GVWRs from 20,500 lbs. to 37,000 lbs. Configurable to best match your application. For a truck to perform at its best, you need as many choices as possible to configure the platform that matches your specific application and makes upfitting easy. 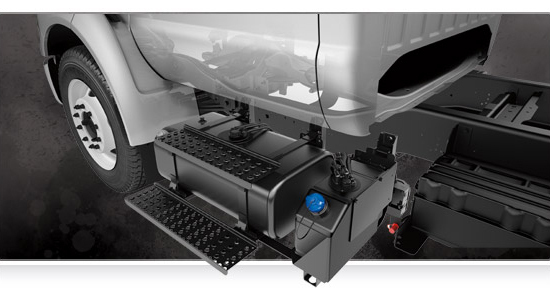 Fuel tanks in Ford Medium Duty trucks, for example, are configured for maximum ground clearance. And there are many versatile arrangements available as well for battery and exhaust system locations. With a number of fuel tank configurations available, you can select the one that fits your application. Select the optimal battery box location for your upfit. 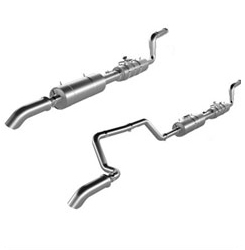 There’s an exhaust system configuration to satisfy your specific needs. A variety of both single and dual fuel tanks are available, ranging from an optional 35-gallon tank to the standard 45-gallon capacity and all the way up to a maximum 145-gallon (80-gal./65-gal. dual tank) capacity on select models. The selection of fuel tanks includes clean Cab-to-Axle (CA) alternatives for ease of upfitting. Tanks offering 13- and 16-inch depths are available. Get a deep tank or choose a shallow-tank model that gives you up to 19” of ground clearance. 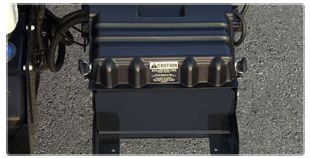 Battery box location options vary in combination with diesel exhaust and fuel tank packaging. Choose from 2- or 3-battery combinations with dual 700 CCA, triple 700 CCA, dual 950 CCA, or triple 950 CCA. * Or, order temporary batteries for final placement that works best with your upfit. In many cases, your choice can be built for a clean CA. *Gas offering gets single 900 CCA. 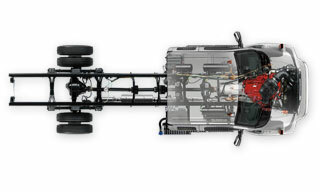 The versatility of Medium Duty extends to the exhaust system configurations. Available exhaust systems can exit the tailpipe in front of or behind your rear axle depending on your wheelbase. The available switchback system bundles the diesel particulate filter assembly and SCR assembly under the cab itself, allowing for a clean CA, when a nonintrusive area is required between the frame rails for body equipment installation. Turnouts are available to the left, right, or even vertically. Your truck works hard. You don’t have to. 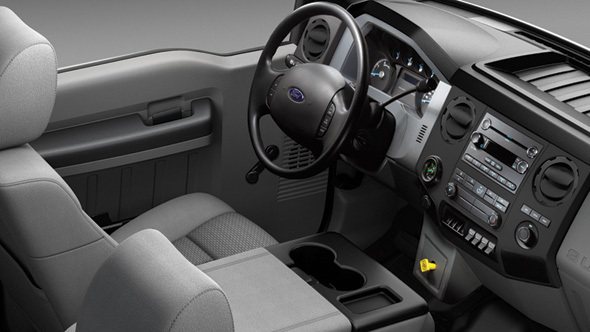 The Ford Medium Duty puts you in an environment designed to minimize distractions and enhance comfort, so you can go about the business of being profitable. Gauges and controls are easy to see and reach. Seating is comfortable for long workdays. If you’re accustomed to the comfort of a Super Duty® Pickup or Chassis Cab, you’ll feel right at home in an F-650 or F-750. That’s because we’ve thought of everything to make your time in any Super Duty truck as comfortable and productive as possible. As intelligently designed as it is comfortable. Designed to make the long workday easier. 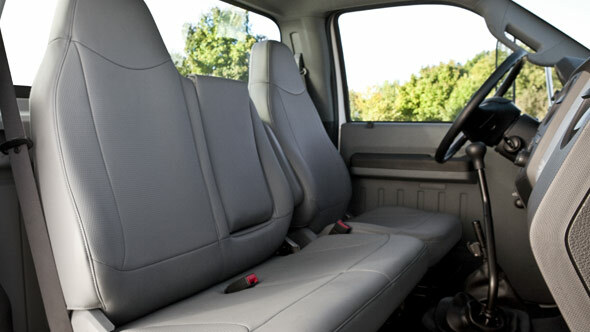 The seats in F-650/F-750 trucks provide comfort mile after mile. The available overhead gauge pod puts emphasis on ergonomic convenience. Available Ford SYNC® is all about staying in touch and staying entertained, with touch controls or simple voice commands. 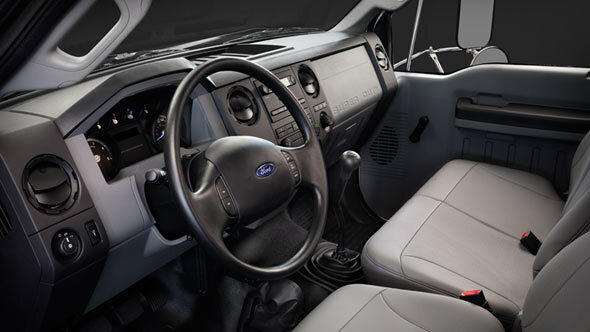 The interior of the Ford Medium Duty is as intelligently designed as it is comfortable. The instrument panel has easy-to-use controls and easy-to-view instruments. The gauge cluster displays the diesel exhaust fluid (DEF) tank level and system status. Four standard factory-installed upfitter switches (optional on the XL gas model) are integrated into the panel. The standard tilt steering column allows for variable positions for enhanced individual comfort; includes integrated cruise control switches. 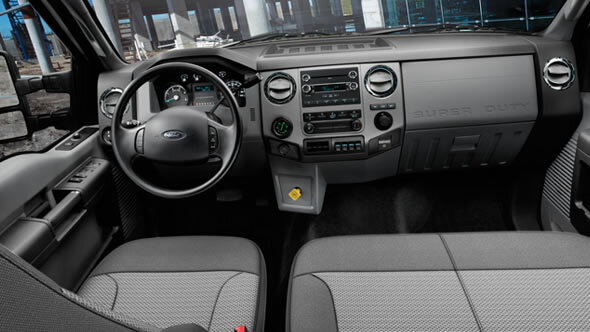 What’s more, the overhead console has dual sunglasses holders and individual map/reading lights (standard in Regular Cab XLT and all SuperCab/Crew Cab models; replaced by gauge pad when optional gauges or certain other features requiring auxiliary switches are ordered). You’ll also discover front seating options with armrests and cupholders. 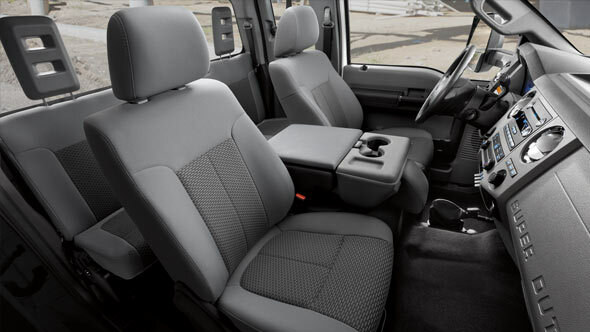 The seats in F-650/F-750 trucks are designed for optimal comfort. Choose from a wide range of standard and available seating configurations, including seats with fixed-spring and air-suspension designs. Vinyl or cloth upholstery is available. 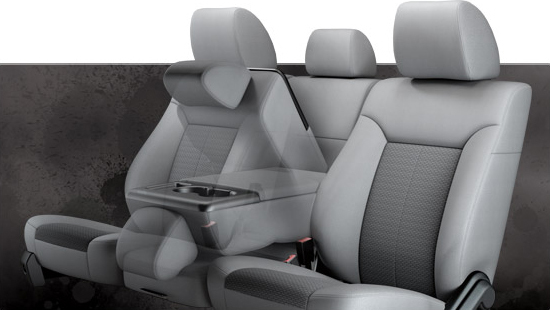 The available 40/20/40 split front seat includes an armrest with built-in cupholders for added convenience. The available overhead gauge pod places optional gauges and auxiliary switches front and center, where they should be. Hour meter gauge, voltmeter gauge, differential lock switch, air-suspension dump switch, transmission temperature gauge, exhaust brake switch and 2-speed axle switch — these are just some of the possibilities. Browse and play your music, podcasts and audiobooks with simple voice commands.